Continuing our look at what it means to be the Messiah, here is part two of what it means to be the Messiah. In part one of this series, we covered the definition of the word “Messiah” Who is to be an “anointed” Person, and based upon Scripture, anointed means to be “appointed for service to God.” We also pointed out that the Greek word christos means “anointed” and is transliterated as Christ, so whether we say Christ or Messiah, we mean the same thing or same Person. Christ or Messiah is the “Anointed One,” therefore Jesus is not just “a” Messiah but the Messiah. He is the Anointed One above all others who have been anointed for service to God. In Part two, we will now begin to look at how the Rabbi’s viewed the Messiah, both before and after Jesus was born, so how did the Rabbis view their Messiah prior to the appearance of Jesus? To begin with, I’ll cover a few of the most important topics surrounding Who the Messiah was from a rabbinical viewpoint and not just Who He would be and what He would do, but also, what His origins were to be from. He was cut off out of the land of the living, stricken for the transgression of my people. Most of the rabbis prior to the birth of Jesus did acknowledge a virgin birth. First, looking all the way back to Genesis 3:15, we see the first prophecy of this in the text concerning “the seed of the woman.” God spoke judgment to the “serpent” in the Garden for deceiving Adam and Eve and said, “I will put enmity between you and the woman, and between your offspring and her offspring.” In Old Testament times, a person’s lineage came through the man and never the woman, so the term “seed” would normally be taken to mean a man’s sperm, but Genesis 3:15 would be a strange statement indeed except for the Prophet Isaiah’s prophetic explanation of the virgin birth, and one that would be accepted by many of the Rabbi’s prior to the birth of Jesus. Isaiah 7:14 says that “… the Lord himself will give you a sign. Behold, the virgin shall conceive and bear a son, and shall call his name Immanuel.” Some have argued that the Hebrew word for “virgin” only means a young girl of marriageable age, but that would certainly not be much of a sign. Who would bother to say, “Look, a young girl has given birth to a son,” so this was to be a unique sign, and the name of that child even more so, as He would be called Immanuel, meaning “God is with us,” so this child born to a virgin was going to be like no other birth in human history. When seventy scholars (including rabbis) translated the Hebrew texts into Greek (the Septuagint) more than two centuries prior to the arrival of Jesus, they used the Greek word for “virgin” and not young lady, so the rabbis had no problem with believing in a virgin birth, and in fact, this was fulfilled in Matthew 1:18-25 where an angel appeared to Joseph after Mary was found to be pregnant, telling Him that this was the work of the Holy Spirit, and by doing so, this was fulfilling the prophecy of Isaiah 7:14. Of course, the child’s name would be called Jesus. The rabbis were in agreement that the Messiah would be born in Bethlehem. This is very clear in Micah 5:2 where we read, “But you, O Bethlehem Ephrathah, who are too little to be among the clans of Judah, from you shall come forth for me one who is to be ruler in Israel, whose coming forth is from of old, from ancient days.” This ruler of Israel was to be determined from ancient times and was believed to be the Messiah and was fulfilled in Matthew 2:1-6 by Jesus Christ. Of the more than 300 recognized prophecies concerning the Messiah, around a third of them pertain to His lineage. Other than naming a few different descendants of the same lineage, He must be a male descendant of King David. Jeremiah wrote, “Behold, the days are coming, declares the LORD, when I will raise up for David a righteous Branch, and he shall reign as king and deal wisely, and shall execute justice and righteousness in the land. In his days Judah will be saved, and Israel will dwell securely. And this is the name by which he will be called: ‘The LORD is our righteousness’” (Jr 23:5-6). This verse and many others are believed to represent the Messiah, and we see this fulfilled in the genealogical record in Matthew chapter one, and on many occasions, by people who referred to Him as “the Son of David” (2 Sam 7:12-16; Matt 15:22). In Isaiah 53 (specifically, Isaiah 52:13- 53:12) we see one of the major prophecies concerning the “Suffering Servant” recognized to be the Messiah who would suffer for the sins of God’s people. Some of the rabbis say that the Servant here is Israel, and not a single individual, but when we look very close at this portion of Scripture, we can see why some of the rabbis might have thought it referred to the Jews. 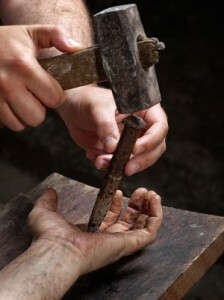 Isaiah 53:8 says, He was “cut off” for God’s people, but the people were not cut off…Jesus was! This may be more of an attempt to keep the Jews from believing this prophecy was fulfilled by Jesus. Also, reading Psalm 22:1-21, we see some very clear details concerning the crucifixion of the Messiah. One of the more interesting facts is that the means of death for the Messiah was to be carried out in a way that didn’t exist at the time (by crucifixion). 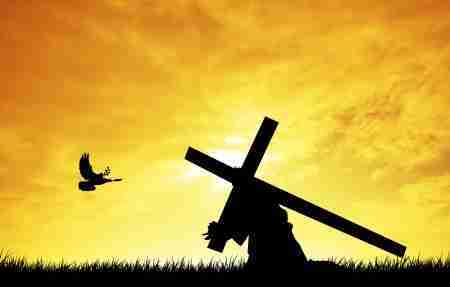 Crucifixion has been around for a long time but was perfected by the Romans centuries later. Stoning was the means of execution during the time that these prophecies were written. The Son of David died for the children of God. Isaiah 11:1-4 indicates that the Messiah would be a descendent of David and will be someone who will rule the world, having “the Spirit of the LORD resting upon him, the Spirit of wisdom and understanding, the Spirit of counsel and might, the Spirit of knowledge and the fear of the LORD. This same one will not judge by his own eyes and yet it He will strike the earth with the rod of his mouth, and with the breath of his lips he shall kill the wicked.” There will even be peace to the extent that even the animals will live side by side in peace and a little child will be able to lead around the more vicious animals. Also, when the Messiah reigns, it will not just be Israel living in peace and prosperity but the Gentiles as well. King David wrote Psalm 72 and which the rabbis believe and teach that this psalm is about the Messiah they are still waiting for…the Messiah that will establish the Messianic Kingdom, the Kingdom of Peace. This is the reason why many of the Jews who are looking for the Messiah, do not, and will not believe Jesus is the Messiah. They will say, “If Jesus was the Messiah, why don’t we have peace? Since we don’t have peace, Jesus cannot be the Messiah!” The ruling aspect of the Messiah has not been fulfilled yet. Believers understand this as the “Second Coming” of Christ (the Messiah). He came the first time to live a sinless life, and to die for our sins as the Suffering Servant…He will come a second time to rule in power. Understanding there was a Messiah that was to die and a Messiah that was to rule and bring peace, was a big problem for the rabbis. Their solution was to come up with the Two-Messiah concept. The Messiah was called: Messiah, Son of Joseph, while the Messiah who was to become an everlasting Ruler is called: Messiah, Son of David, however, there aren’t two different Messiahs. Jesus, the Suffering Servant of Isaiah and the One Who will return to set up the Messianic Kingdom. There is so much more to say about what it means to be the Messiah that it will need to be continued in the next post. So far, we’ve seen that Jesus was “anointed” by God, (He is the Anointed One, meaning, He is the Messiah), and has been set apart by God to fulfill God’s redemptive plan. The Messiah of the Old Testament is both a Suffering Servant and a future Ruler who will set up the Messianic Kingdom, a kingdom of peace that will extend even to the animal kingdom…and will be a Kingdom without end. Ron Bingham is a father and grandfather, living in Saginaw, Texas. He gave his life to the Lord, Jesus the Messiah, in 1972 and began studying the Bible extensively from the very beginning of his new life. In 2005 he began studying the Jewish background of the scriptures in order to understand the thought processes, settings and traditions of the Jewish people to understand the scriptures more contextually. He has been a Messianic-Christian teacher and author now for many years. Previous post: How Do We Become More Christ-like? Next post: Why Don’t More Christians Share Their Faith?